This Reindeer Chow is a white chocolate Chex mix snack. It’s a Christmas Chex Mix with Chex cereal, nuts, pretzels and candy covered in white chocolate. We could live on snacks and appetizers during this season and the choices are endless. 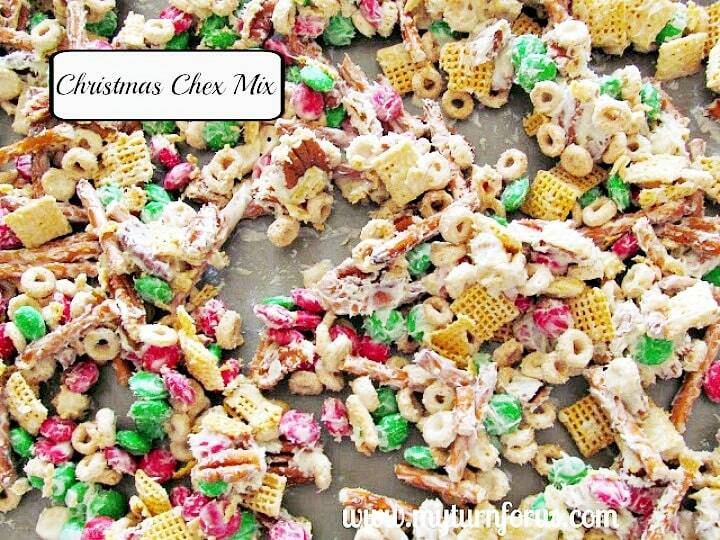 This Christmas Chex Mix is the top of the list for snacks around Christmas. 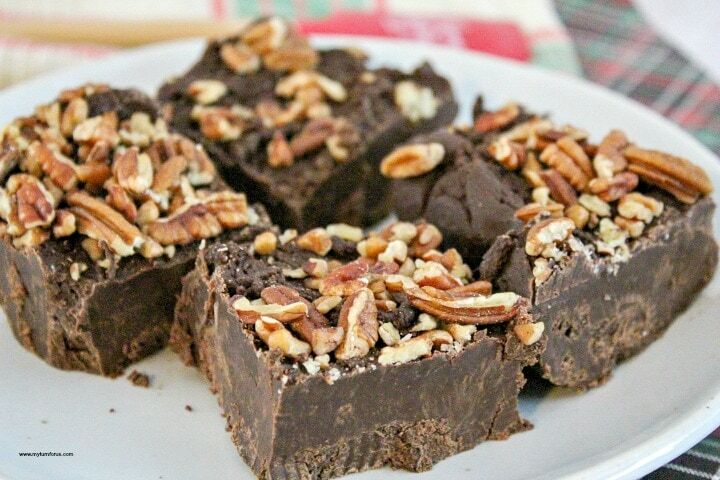 It’s easily made with M&M’s, pecans, pretzels, cereals and it’s coated with white chocolate. And you might wish to make more than one batch because it doesn’t last long. Are you like that, you just want a festive fun snack while watching Christmas moves or playing games with the family? This White Chocolate Chex Mix is great for snacking and can be made ahead of time and stored in airtight containers. 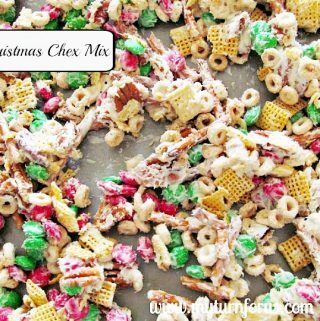 We call this Christmas Chex Mix, Reindeer Chow and it has the perfect blend of sweet and salty. It’s also fun for the little ones to leave out for Santa’s Reindeer. We have always left Santa plenty of cookies and milk but what about all those reindeer, they need loads of energy to pull that overloaded sleigh don’t they? I think we need to make extra of this Reindeer chow, don’t you? And I bet Santa will not just save this Reindeer chow for the reindeer but I bet he enjoys it also. This is a fun tradition here at the Ranch, feeding Santa’s Reindeer and Santa’s helpers like us. And speaking of Christmas snacks, be sure to scroll on to the bottom for other suggestions. Melt white chocolate chips in a microwave-safe bowl in the microwave at 50 % power for 1-2 minutes stirring often or use a candy melting pot. This looks so festive, simple and most of all delicious! Thanks for sharing. I could eat that whole container! The kids would LOVE this! Thanks so much for sharing at Simple Supper Tuesday, this week. How fun! You are right…can't leave out the reindeer. When I was a kid we left a carrot. Reindeer today are luckier! Thank you for linking, Evelyn. This looks so good!!! And I'm so with you… I could just eat snacks and appetizers (and the occasional dessert, of course!!!) all day every day! This looks so addicting!!! Love the new look! The reindeer chow will be a hit with the grandchildren, yummy stuff. Thanks for sharing on Tuesday Trivia. Featuring today and pinned of course. Your Reindeer Chow would be a great snack for the holidays. Thanks so much for sharing with Full Plate Thursday and enjoy your weekend! Reindeer Chow is so addicting. It's a big hit with my family. 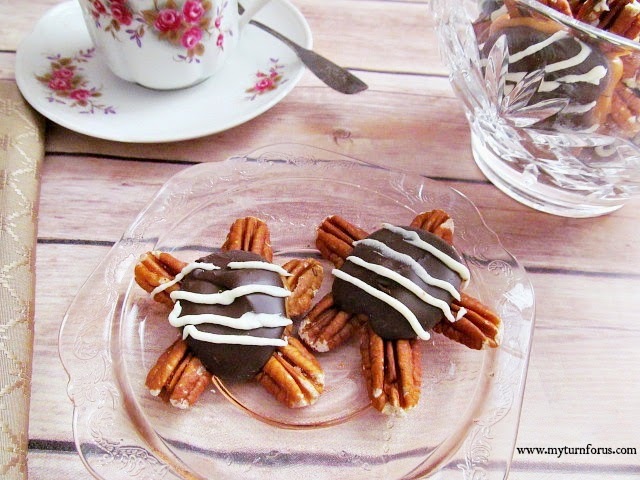 Thank you for linking to the In and Out of the Kitchen Link Party. Hope to see you next week. Thanks so much for linking up, I appreciate you! My kiddos would have so much fun making and eating this!